Ugam is a leading next-gen analytics company that helps retailers, brands and market research firms transform big data into valuable insights. The company’s offering combines a proprietary big data technology platform with deep domain knowledge and analytics expertise to empower clients to make decisions that improve their business. For retailers, online marketplaces and brands, Ugam supports better merchandising, marketing and channel management decisions through the use of analytics. For market research firms and insight-based consultancies, Ugam offers a portfolio of solutions including end-to-end research operations, technology transitioning support, and data warehousing, visualization and reporting that enables them to better serve their clients. Five of the top 10 U.S. retailers, four of the leading Australian retailers, many of the world’s largest brands and online marketplaces, and 13 of the top 25 market research firms work with Ugam because of its ability to deliver high-quality insights with unmatched customer experience. The name Ugam comes from the ancient Sanskrit language and means “source” or “origin.” Ugam seeks to be the source of solutions for the complex problems of retailers, brands and market research firms worldwide. The name signifies the company’s position as a pioneer in the market for data and analytics, and the source of relevant actionable insights for clients. We believe that the best way to deliver value to our customers is by putting ourselves in their shoes. It’s imperative that we understand our customers' issues before we can start to solve them. That requires an authentic interest in their point of view and bringing a sense of curiosity and humility to every engagement. To us, thinking customer means listening actively—both to what is said and what is unsaid—to first diagnose the problem before designing and implementing a solution. That’s how we can create a meaningful impact. We energize our workplace by making sure that our work is fun, educational, challenging, exciting, and motivating. We think that it should be worth braving the commute and inspire enthusiasm and commitment. We have the kinds of professional and personal opportunities that are only available at dynamic, open and growth-oriented companies. As Ugamites, we all must be able to feel comfortable raising concerns when they come up-and know that those concerns will be heard and addressed. And it's equally important that we can express a sense of humor and laugh with our colleagues. We owe it to ourselves, each other and our customers to foster a safe, energizing, and motivating environment where we can do our best work and celebrate the successes that come out of it. To us, being accountable is the hallmark of great execution. That's why our organizational outcomes are able to exceed expectations. But on the occasion they come up short, we believe in taking responsibility and get it right the next time. By encouraging each other to plan ahead, we can anticipate problems and clear obstacles to get work done on time and in the right measures. We believe that owning our work means delivering without excuses. That’s why we value asking for help when we need it and offering help when we know others need it. Part of being accountable is saying what we will do and doing what we say, so that there are no surprises. And when we work together, we can give each other the confidence of knowing that we're all contributing to the team and company—and that the job is going to be done. Growth and innovation will be out of reach to us if we accept the status quo just because it's comfortable. That's why we must commit to pushing the boundaries of what we know and what we think possible. We can achieve more by challenging what is and solving problems in unique ways. We believe that pushing boundaries means stepping up and making decisions, taking risks, and learning from mistakes. With these freedoms, we can develop a sense of adventure that's daring but not reckless. We can generate ideas that are creative and unconventional but still promise quality and value for our customers. To us, acting with integrity means doing the right thing, even when no one is watching. It means committing to the delivery of only the highest quality solutions and services that are rooted in trusted data. And it means being honest with each other and forthright with our customers because we're always working in their best interest, versus our interest. When we behave in this way, we’ll always be motivated to do better work and be a better partner to our customers. Ugamites pursue win-win outcomes by putting a great deal of value in effective collaboration and working toward common goals. We seek to understand others‘ points of view, then jointly and objectively explore every option for resolving whatever problem we are addressing. To us, collaboration means overcoming the apparent conflict of ideas and working toward a common objective by realizing that it's within the conflict itself that lies the value. To embrace diversity, we aspire to override our innate tendency to connect with those who are like us by exploring the boundaries of self and embracing new thoughts and ideas, even when they're not ours. We must recognize that "my way is not the only way," which calls for humility and open mindedness. But embracing diversity means more than simply tolerating new ideas—it requires actively seeking out different views, learning from them, and experimenting with new perspectives. By igniting curiosity, we can generate new ideas and grow professionally and personally. 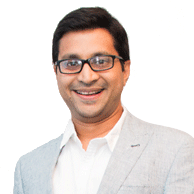 Sunil is responsible for driving the overall strategy, business development, and talent management. He has over 20 years of international business experience and prior to Ugam, has served as the Head of Corporate Advisory at Sakura Capital India. He graduated from Penn State with a Bachelor’s degree in Engineering. 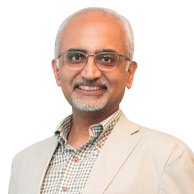 With over 20 years of experience, Madhav is responsible for business development, managing key client relationships and various strategic initiatives at Ugam. 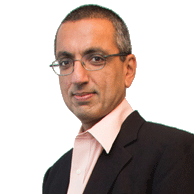 Prior to Ugam, Madhav led the Treasury function at Sakura Capital India. He holds a Bachelor’s degree in Engineering as well as a degree in Economics from The Wharton School. 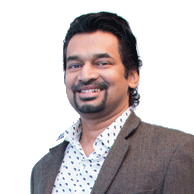 Mihir is responsible for business development and delivering customer success at Ugam. He has over 20 years of experience, and has worked closely with clients across the globe, to understand their needs and help create solutions for their success. 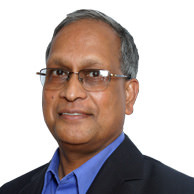 He has a Bachelor’s degree in Electronics Engineering and a Master’s degree in Business Management. Naeem has been with Ugam since its inception in 2001 as part of the Operations team. 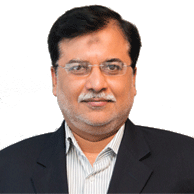 In his current role, he is responsible for the Research Operations delivery center in India. At Ugam, Naeem has been instrumental in building and scaling operational strategy and implementation. Christopher develops and nurtures new relationships with brands and retailers. He brings over 20 years of experience with top retail brands as well as analytics, database, and consulting solutions expertise. 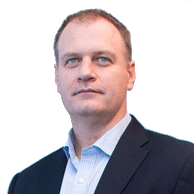 Prior to joining Ugam, he managed operations and sales at Abacus, DoubleClick, and Experian. Jackie plays a crucial role in achieving Ugam’s commitment to providing superior customer experience and driving results in the European market. 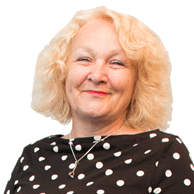 Jackie brings with her over 25 years of experience in market research operations. Prior to Ugam, Jackie managed English and International Data Collection at GFK NOP. 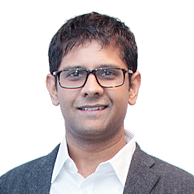 Navin is responsible for solution management which includes focusing on developing new, innovative retail solutions and taking them to market. His previous positions included VP of Retail at Mu Sigma, Head of Retail/CPG products and platforms at Infosys, and Co-Founder of Manthan. Irfan oversees the functions of Finance and Accounts, Legal, and Administration. He has over 15 years of extensive and diverse international experience at large firms including Monsanto and Hutchison. Vishal is responsible for the day-to-day management of IT Infrastructure and Information Security. 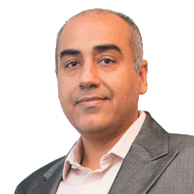 He has over 18 years of experience working with organizations like Marico, Tata, and Travelex. Vishal holds a Bachelor's degree in Physics. 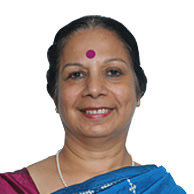 Vaishali leads the Human Resource function and is responsible for Staffing, Engagement, and Development. She brings over 18 years of HR experience holding senior roles in American Express, Genpact, and Travelex. Raj is responsible for shaping strategy and guiding the management team. Raj has over 30 years of experience and is a serial entrepreneur running ventures in Strategy Consulting, Research and Social Media. He is an Engineer from IIT-Bombay and an MBA from IIM-Ahmedabad. Mohana reviews and vets the major legal contracts of Ugam. 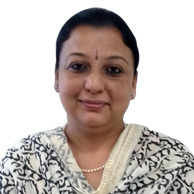 She is an Advocate in the High Court and City Civil Court in Mumbai and also acts as an advisor to several corporate banks and financial institutions. Her areas of specialization cover Corporate and Commercial Law, Intellectual Property and Litigation to name a few. R.K. has been involved in the Management Consulting field since 1989. 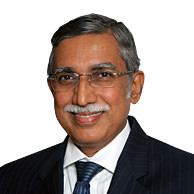 He has been an integral part of Strategic Advisory Projects for a number of leading corporations in India including Unilever and Aditya Birla Group to name a few. He is an Engineer from IIT-Kharagpur and an MBA from IIM-Calcutta. 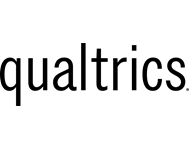 Qualtrics is the world’s leading Research and Experience Management software provider. They help manage the four core experiences of any business – customers, employees, products, and brands. Our partnership with Qualtrics aims to seamlessly integrate Ugam’s data and analytics expertise with Qualtrics’ cutting edge experience management software, in order to help companies generate actionable insights within their organization to drive positive business impact. Confirmit is a leading provider of products for feedback/data collection, panel management, data processing, analysis, and reporting. 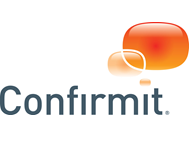 Our partnership with Confirmit enables businesses to maximize their ROI on the Confirmit platform. We do this by helping them listen to customers, markets and employees and analyze data to get faster actionable insights to drive business growth. OC&C is a leading global strategy consulting firm that brings clear thought to complex issues. Ugam has partnered with OC&C to help augment their data analytics capabilities. OC&C will leverage our core strength of helping companies accelerate their digital transformation. Together, we will help operationalize insights by conducting ongoing analysis on consulting projects and jointly build analytics tools that can help the enterprise gain a better understanding of their competitive environment. The rise of the digital consumer has created significant disruption in the traditional business models of retailers and manufacturers. The seamless combination of Ugam's data and analytics solutions and Qualtrics' cutting edge experience management software, provides customers an end to end solution to design, implement, generate and operationalize the consumption of actionable insights within their organization to drive positive business impact. The Deloitte Technology Fast 500 acknowledges companies that combine technological innovation, entrepreneurship and rapid growth. Technology Fast 500 companies — large, small, public, and private — span a variety of industry sectors, and are transforming the way business is done today. The Red Herring Top 100 award highlights the most exciting startups from Asia, Europe and the Americas. Red Herring 100 Awards are widely recognized as one of the industry’s more prestigious recognitions, with hundreds of candidates from each continent competing for a Top 100. Presented in London and organised by the ASC in association with the MRS, the annual award is for outstanding and innovative applications of software or technology which have directly contributed to a demonstrable improvement in the effectiveness of market, opinion or social research. The DSCI Excellence Award in IT Service recongnizes organizations that have shown high level of preparedness and excelled in the area of information security and privacy. Ugam highlighted as “Editors’ Pick” in the Consumer Goods Technology Readers’ Choice 2016 Survey. The Editors’ Pick section recognizes companies that are making a respectable impact in the industry and should be noted. The Interviewer Quality Control Scheme (IQCS) is committed to the continuous development, maintenance, and promotion of quality data-collection standards throughout the UK market research industry. It has been firmly established as the industry’s benchmark quality standard for data collection since 1978.